Cannabis detoxification is a rather mainstream activity with millions of people today. It is, therefore, important to understand how to detox from marijuana. Like with most detoxification processes, a lot of care must be taken in order to avoid and, or prevent any adverse effects that could come with improper detoxification processes. What Is Marijuana Detoxification Timeline? How Do Weed Detoxification Remedies Work? How to Detox from Cannabis Naturally? Cannabis detoxification is the removal of marijuana toxins from the body. Also known as marijuana, cannabis tends to leave some residue in the body which might be undesirable in some cases. There are two types of marijuana, and they all contain THC (tetrahydrocannabinol) which is usually present in the body after taking it. The body will naturally rid itself of THC, but as it does that, it leaves behind metabolites. Detox, therefore, involves getting rid of the metabolites that are usually left behind. It is important to understand how long a detoxification process will take. Marijuana detox can cause withdrawal symptoms in the user’s body. While THC is usually easily eliminated from the body, it leaves behind metabolites. These metabolites will remain in the body between 4-12 days. They could also last up to 90 days depending on the level of use. Once the user stops using marijuana abruptly, weed detoxification symptoms kick in 1-2 days. The following symptoms are a clear indication that the body has started to detox from cannabis. These symptoms vary with individuals based on how much and how long they have been using marijuana. The more and the longer the use of weed, the more intense the symptoms are. Most weed detoxification symptoms usually diminish by the second week. However, some symptoms like mood swings and, or cravings might remain. Most of the offensive metabolites will be gone by the third week and so will the symptoms of pot detox process. Some of the frequent users might experience the withdrawal symptoms for the longer period after the detoxification from weed as far as their body systems were largely impaired by the pot and more time is needed to restore all the functions. There are many methods of eliminating THC. The internet is full of marijuana detox tips that promise easy and fast detoxification. 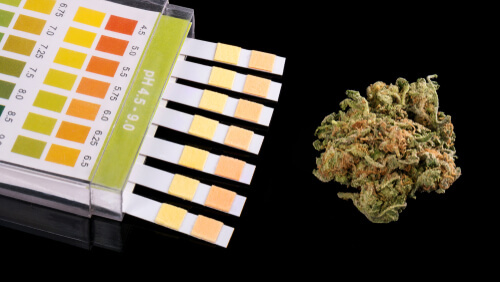 THC is mostly expelled through urine. Therefore, drinking plenty of water dilutes urine thus lowering THC levels in a testable sample. While this method is considered effective, it has a number of cons to it. Professionals might grow suspicious of excessively dilute urine. There are herbal supplements that are known to detox marijuana effectively. They usually contain fruit pectin, a form of fiber that collects THC and rids of through bowel movements. These supplements increase bowel movements over a short period of time thus removing as many toxins as possible. They include yellow root, Burdock root, and red clover. Unlike other methods which help detox marijuana fast, herbal supplements are usually most suitable for long-term detoxification since they take longer to work. Detoxification kits include marijuana detox pills or liquids that help rid the body of THC. Marijuana detox tea is known to help lower THC levels by increasing metabolism and cleaning the kidneys. This way, the body can get rid of the metabolites faster. Green tea also introduces caffeine and vitamins to the body. There are many reasons to quit any form of weed consumption. It is possible to carry out natural marijuana detox. Natural detoxification is usually not motivated by an impending testб so one does not necessarily need a fast marijuana detox kit. It, therefore, takes time and can be handled safely without putting any pressure on the user. Natural, gradual detoxification is considered the best way to detox marijuana. Stop taking any form of weed. This should be the first step in cannabis cleanse. Exercise. As discussed before, even as the body rids itself of THC, there is still some THC left. Physical exercise reintroduces THC to the bloodstream which is then expelled through a number of body functions. Therefore, lower body fat means lower THC levels. Exercise should, however, be carried out responsibly to avoid injury. Proper Diet. Forget about marijuana detox drinks and focus on taking up a proper diet. Eating healthy also has a positive effect on a user’s general health. 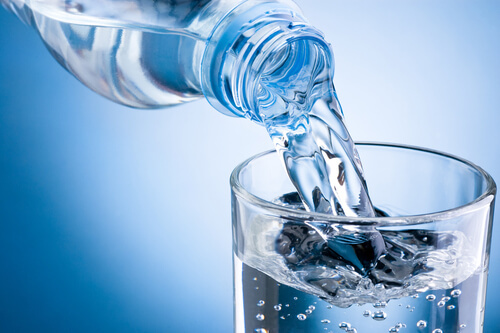 Ensure to drink plenty of water to dilute THC in the body and get rid of it through urine. Sauna. Sauna encourages sweating, which in turn helps rid the system of THC. The higher the amount of sweat, the more THC is going to be expelled. There are instances where help might be needed in getting rid of THC from the body. Some users might even consider quitting marijuana during pregnancy and will need to carry out a marijuana detox cleanse to prevent toxins from being transferred to their unborn children. One might experience some marijuana withdrawal symptoms immediately after stopping their weed consumption, but they are not as severe as symptoms from other drug withdrawals. It would even be wiser to seek addiction therapy for a more professional approach to marijuana detoxification. Quitting and staying clean of weed is not as hard as with other hard drugs. This is mostly because weed does not affect the brain like other drugs. However, when the need to wean oneself off marijuana use and to stay clean arises, one needs to be careful. One might need to visit an outpatient drug rehab for more professional help. Are you looking to drop marijuana and carry out proper detoxification procedures? If you are looking for the proper and professionally proven methods for carrying out weed detoxification, do not hesitate to call this hotline number (888)-459-5511 and speak to a trained representative. What type of detox tea do you recommend? And what about popular pills like Magic Detox (Ultra THC Detox pills)… any benefit? Thanks.